I am a mom of an energetic set of toddler twins! 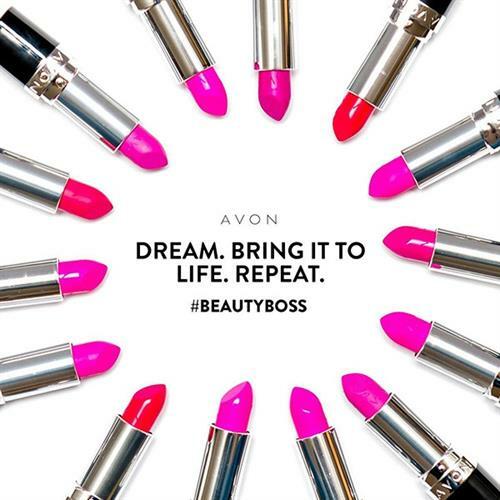 I joined Avon because its a business I can build while raising a family. I love the products and love the earning opportunities even more! I love the freedom my business gives me, the amazing women and men I've met who are now like family! What I love about being a beauty boss is that I can work around my kids schedule and my family time. Avon offers amazing incentives and bonuses just for working your business. Join me Today and start your own amazing journey with this company that has empowered women for over 130 years. For more than 130 years, the Avon brand has stood for beauty, innovation, optimism and, above all, for women. Avon products are sold through active independent Avon Sales Representatives in the U.S., Canada and Puerto Rico, and include color cosmetics, skincare, fragrance, and fashion and home, featuring such well-recognized brand names as Avon Color, ANEW, Avon Care, Skin-So-Soft, and Advance Techniques.